Sinda is a thermal analyzer that has been extensively used in a wide range of successful space programs including Astra, ERS 1-2, Gomos, Mars Express, Silex, Soho, and across multiple industries including Aerospace, Automotive, and Electronics. 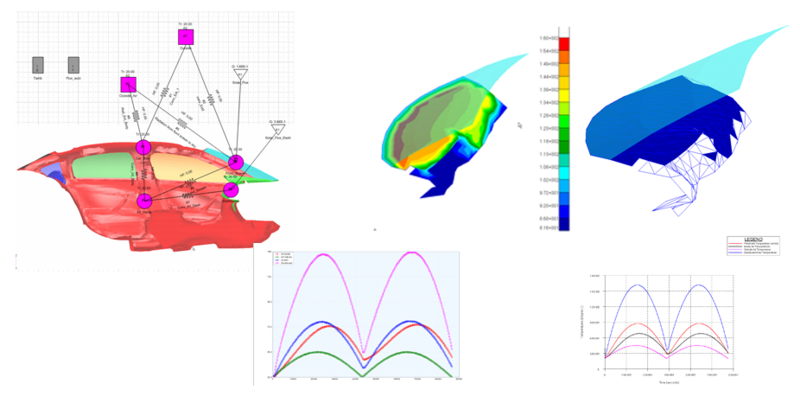 Sinda uses a conductor-capacitor network representation approach to thermal analysis that offers numerous benefits when solving thermal problems. Sinda goes beyond other solutions by also providing a powerful thermal programming language, enabling engineers to construct complex thermal scenarios that would otherwise be difficult or impossible with other analyzers. The flexibility of Sinda is extended even more with integration to a wide number of thermal modeling tools including Patran, SimXpert, SindaRad, THERMICA, Thermal Studio and Visio. Select from a wide number of available thermal loads. Use fast radiation methods with multiple radiation enclosures. Model terrestrial heating for solar loads on Airplanes, Automobiles, Solar Power Plants, Civilian Structures, and more. Add subroutines to model logic and boundary conditions for complex thermal problems. Utilize micro functions for complex loads without the addition of programming logic. Include complex special/time/temperature variation of heat fluxes and convections. 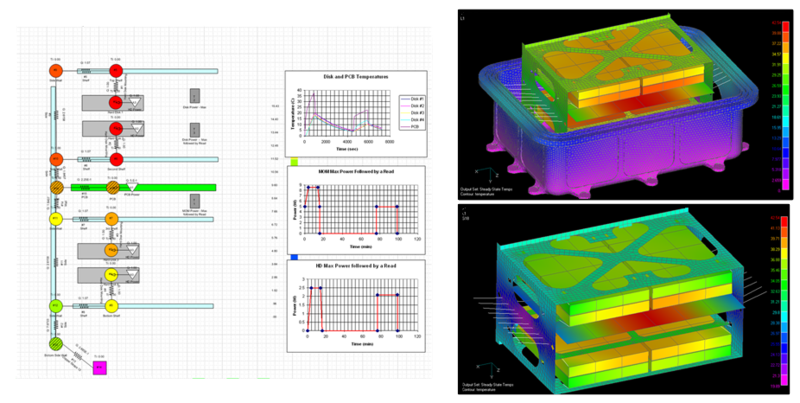 Add advanced thermal features including ablation for thermal electric devices and heat pipes.